When one Stephen King adaptation falls through, simply pick up another one because they're everywhere. New Mutants and The Fault In Our Stars director Josh Boone had been penning an adaptation of King's The Stand, but it was shelved and Boone was hired to instead write Revival. Neither of those King projects seems to be going anywhere right now, so Boone has been set for another. 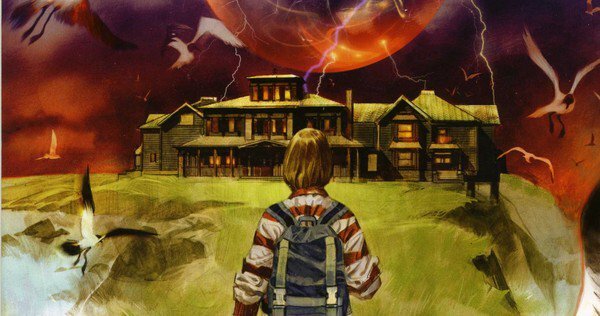 He'll now adapt King and Peter Straub's 1984 novel, The Talisman. The book has been adapted in other formats, including an extensive graphic novel series. King and Straub reunited for a sequel titled Black House in 2001, and you can bet if the film is a hit they'll be looking to do that one, too. No word on a director, but given that Boone is using New Mutants to bone up on his horror techniques, he may want to take this on himself.